On July 23 2018, Australian soccer fans were treated to a live Chelsea Football Club match against A-League competitors, Perth Glory. As one of the major events on the Australian sporting calendar in 2018 and in a first for the new Optus Stadium and Western Australia, the announcement of this event was a significant moment for many. 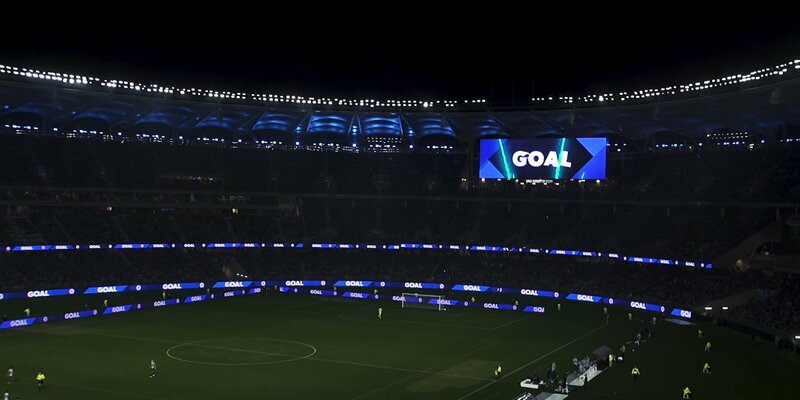 Following a competitive pitch, KOJO was engaged by Chelsea FC & Optus Stadium, to manage all aspects of the fan experience for Chelsea’s pre-season tour game against Perth Glory. KOJO developed an activation plan for a series of VIP and pre-match fan events, an open training session at the WACA and exclusive supporters signing and Q&A sessions. 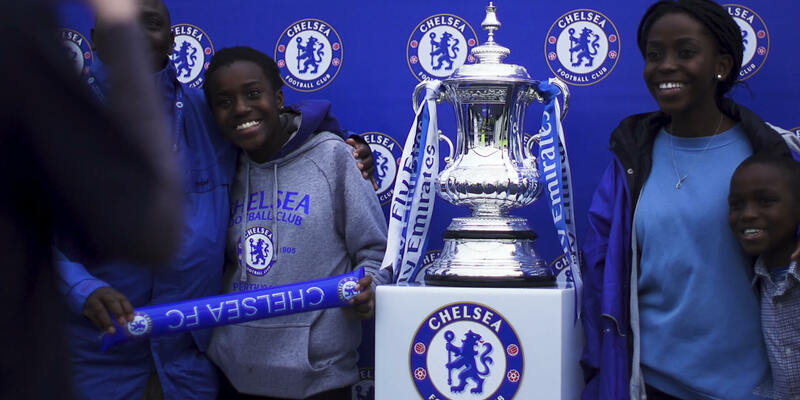 On match day, a specially designed fan zone allowed supporters to create custom and shareable mementoes, get up close with the famous FA Cup silverware and test out their own football skills, with seamless integration of major sponsors of the event. Inside, the venue was transformed into a sea of blue, with fans treated to an immersive pre-match show. KOJO’s creative and production teams managed the on-field event presentation, vision screens, LED ribbon boards, integrated TV display systems and 15,000 individually controlled LED sports and architectural lights. The fans were also an important part of the show with over 50,000 flags, placed on each seat prior to the game, being waved in unison at key moments of the pre-game build up.